A very nice day. 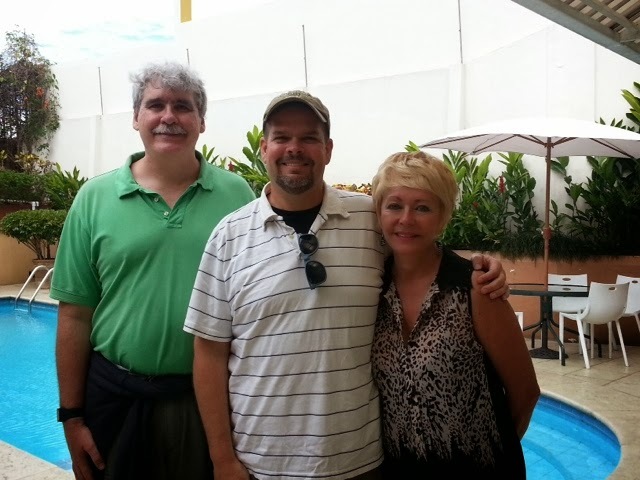 Today I was able to meet a couple of people that are Topix forum members and who are also readers of my blog. 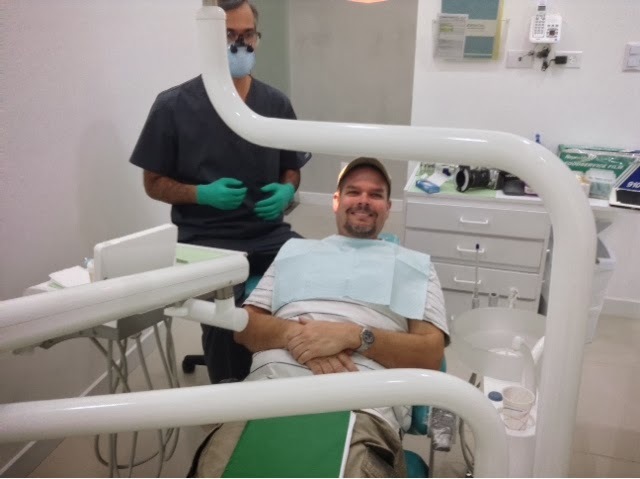 Chris is here from Victoria BC, Canada getting dental work done by Dr. Anglada & Dr. Castro, two very popular and respected dentists. Jack is an expat who is originally from Michigan and has lived in CR for 12 years now I believe. 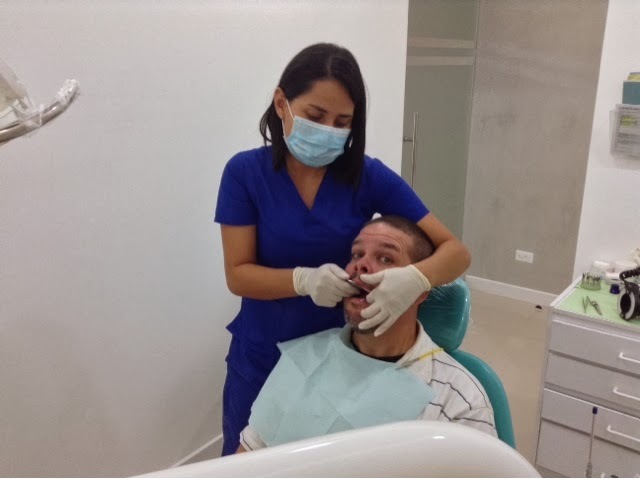 We decided to meet up at the Suites Cristina Hotel where Chris is staying and where a lot of dental tourists stay during their treatment as it's in close proximity to some of the more popular clinics. 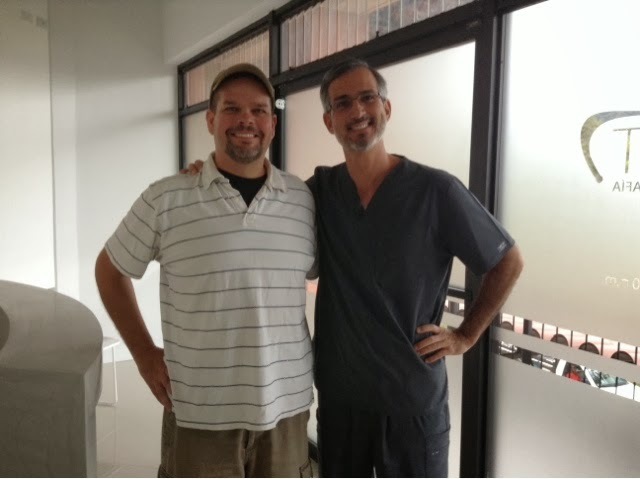 We sat and talked at length about Costa Rican dentists, U.S. dentists, procedures and all kinds of other things. It was a very nice and entertaining discussion. Both Chris and Jack are fantastic people and it was a pleasure to meet them. Chris and Jack please keep in touch and I hope we will meet again. There is no way I can express enough my gratitude for how this man has helped me change my life. 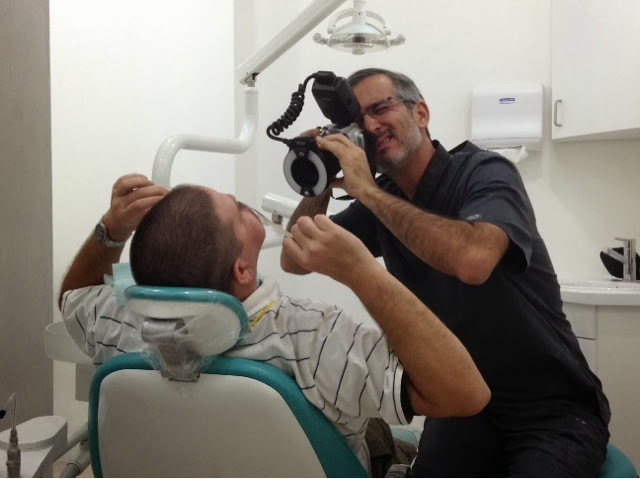 I went back and forth trying to decide on what dentist to use when I was doing my research. I really felt bad because I was contacting so many different dentists trying to find that perfect one. 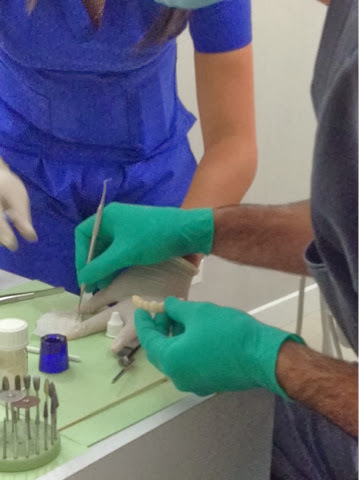 Now that the 1st stage of my procedure is complete, I truly feel like I hit the jackpot by choosing Dr. Prada and his team at DDS Dental. 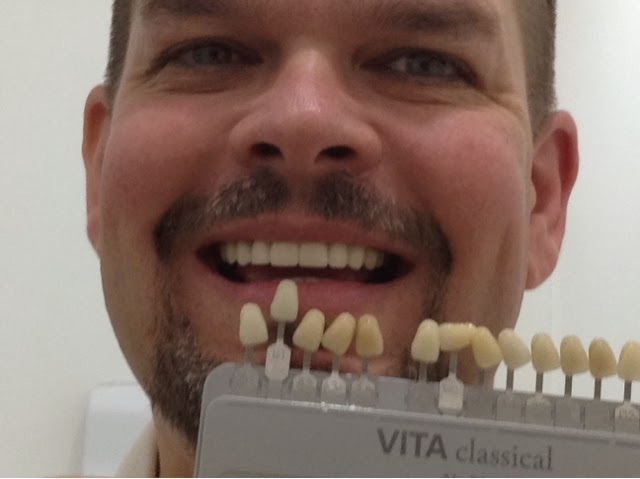 A terrific, fantasic and talented Prosthodontist but an even better person. I will do a 1st trip wrap-up post after I return home this Sunday. 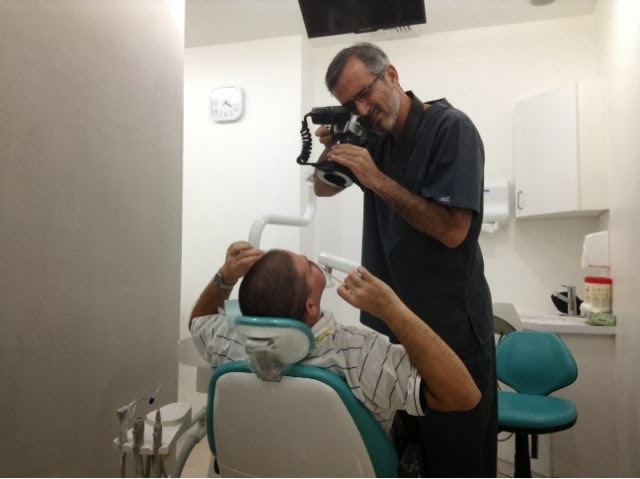 Then, as I have stated a few times already, I'll return to Costa Rica later this year in order to be fitted with my permanent teeth. Thanks for reading and stay tuned for the wrap-up! You better not be gone during my birthday! ;) miss you guys! Just now starting my research. You have provided the most detailed information I have found. I have no issue traveling, just trying to find the time to do this. Hoping to wrap up research and make the decision for late 2014. I am going to need extractions (7 upper; 11 lower) and hope to go the path you did. James- thank you so much for the kind words. When you decide on a dentist and a date, make sure the dentist is available for those dates before making your reservations. There are some holidays in CR where everything shuts down and sometimes it's more than a day long.